But can you judge a moose by its moose antlers? [A study of hunter submitted Moose Antlers in British Columbia in the early 1980’s has shown that] [a]ntler development is relatively similar among moose of similar age, but different ages show patterns that reflect the social position of the male. Which is the largest living member of the deer family? Moose are the largest living member of the deer family (Cervidae) and fittingly bear the largest set of antlers. Moose antlers are usually paired and shaped like the palm of a hand with outstretched fingers, thus the expression palmate. After a male moose reaches one year of age he starts to grow antlers that increase in size (becoming more elaborate with more points and heavier) for each new set of antlers he grows until he reaches his prime. 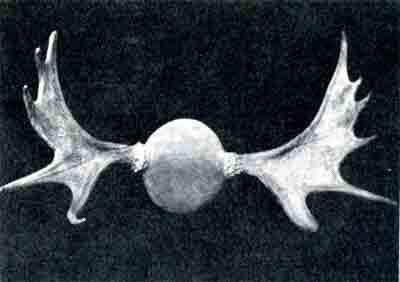 After a male (Bull) moose reaches his prime the antlers start to recede each year until the moose dies. North American Moose Antlers have larger antlers than their European relatives. 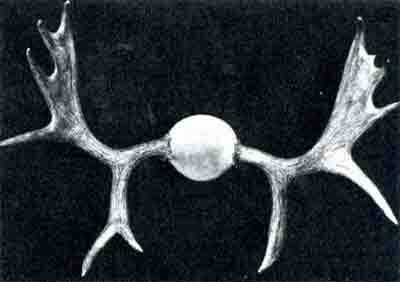 World record antlers consistently come from Alaska, where antler spreads of six feet have been recorded. Every year the cycle is the same. 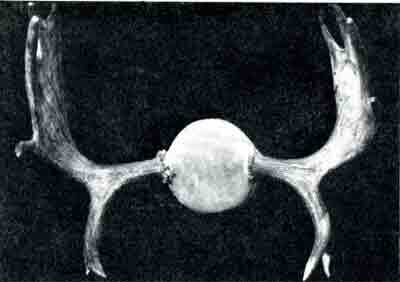 In the spring antlers begin to grow from the skull covered with a tissue called “velvet”. By September the growth has completed and the velvet dries and falls off. Moose will often aid the removal of the velvet by rubbing their antlers on trees and shrubs (on occasion they’ll eat the velvet too!). The continuous rubbing on trees, combined with the dried blood and dirt will give the Moose Antlers the brown color hunters are accustomed to seeing in the fall. What is the purpose for Moose Antlers? Antlers do not serve a useful purpose until the fall and during the mating season (called the Rut). Even during this period of time, which in British Columbia is typically the first two weeks of October only serve as a tool for intimidation. 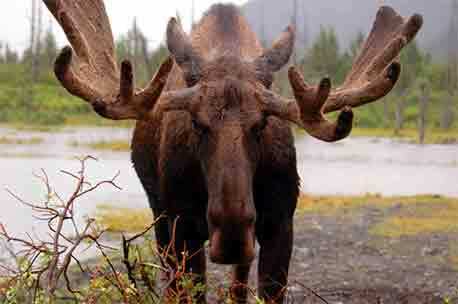 You see, moose for the most part only have to show off their antlers to scare off the rivals – younger and weaker males. On occasion a mature bull moose will chance upon a moose of equal stature; where intimidation and posturing will not work they may then face off head to head and engage each others antlers. There have been situations where these wrestling matches have led the moose antlers to become so entangled that they cannot separate and both moose die. Broken and/or damaged antlers can lead to a long road to recovery for a moose. 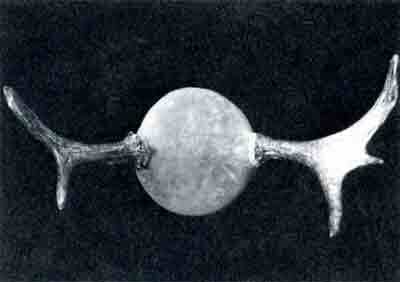 There are also occasions to see abnormal moose antler growth. There can be a few causes for the abnormalities. When do moose loose their antlers? Between mid-November and March is when moose in British Columbia typically lose their antlers; younger moose keep their antlers until later in the winter and it is usually only two year old moose that may still adorn their antlers come March. 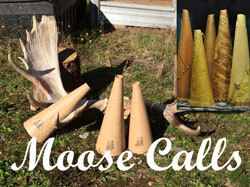 Two distinct types of moose antlers have been recognized in the Central Interior of British Columbia. These are the “palmate” or shovel-horn type characterized by broad up-reaching parallel palms, and the "cervina" or "pole-horn" type, having long tines or spike-like architectures. 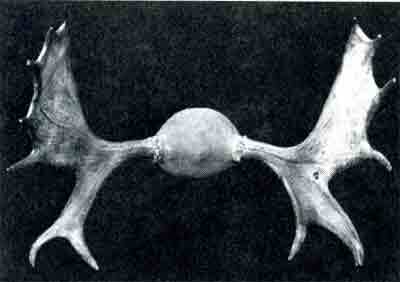 The palmated antlers are either fully palmated in shape or of a split –palm, butterfly-type design. 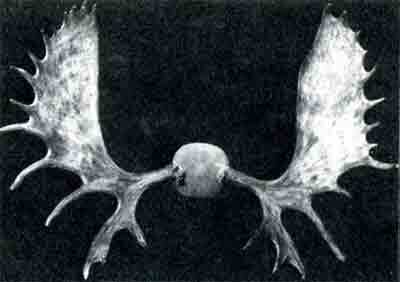 In the Central interior of British Columbia moose antlers show various forms of the palmate antler but the double-shovel or butterfly shaped antlers are infrequently seen. What happens to moose antlers once they fall off? Once moose antlers hit the ground they will begin to deteriorate and loose the colour that the moose had adorned them with. 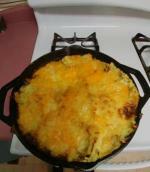 Rodents, squirels and porcupines will chew the antlers to gain the protein or minerals from the bone. Antler shed hunting is a very popular pastime for those who live near wintering grounds. 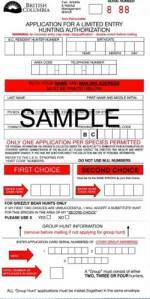 I know several people who spend enormous amounts of time scouring the woods and fields looking for sheds. Antlers can also be turned into beautiful art pieces. 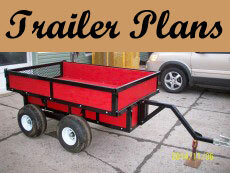 We have taken some sheds and created various medallion carvings from them, they are on display on our antler art page. 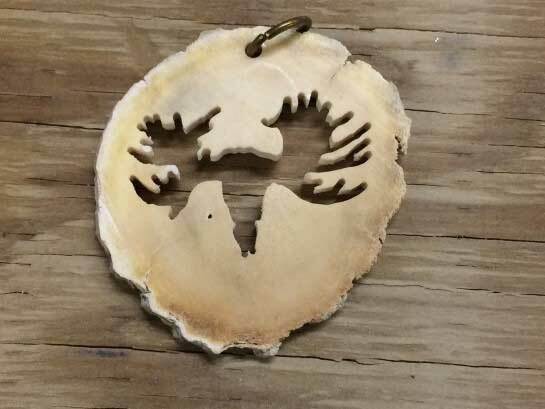 Moose Euro Mount carved into a slice of a moose antler shed. Yearling moose are the most easily aged identified, they typically have two or three points on each side and are of the cervina type. These young moose have small circumference of main antler beam, few points and narrow spread. 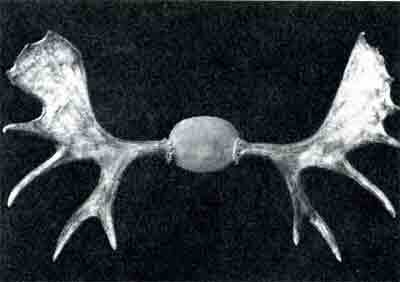 Antlers of older moose vary to such great extent that it is an impossible task to accurately identify an animal’s age. 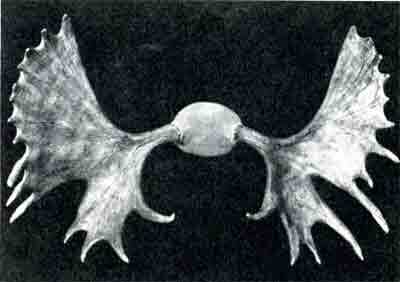 Moose antlers will vary in size and rate of growth. Other than the yearling moose any attempt to judge a moose age is purely guesswork. Until a bull moose reaches its prime at five-and-one-half years of age its eye guards will be of singular or two point (photos 1-4). As the moose age increases you can see a marked increase in the development of the palmate and the number of points. A moose in its prime (photo 5) shows distinctive butterfly-shaped antlers which signifies a moose is high ranking and breeding potential. After the bull moose passes its prime the marked reversal of antler development shows. Photos 7 and 8 show the decline in the architecture of the moose antlers and therefore the social standing and breeding abilities also suffer. Moose at very old ages of twelve and beyond will have moose antler development that may be described as grotesque or misshapen almost beyond recognition as typical moose antlers. No form of rehab or recovery will aid in the reshaping or repair of the antlers. Even though we are unable to determine a moose age by its antlers we are able to learn a considerable amount about the social structure and reproductive status of moose as they age. 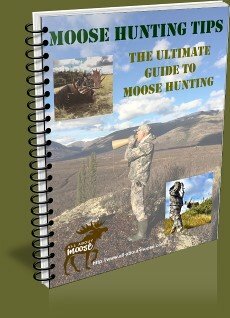 If you are fortunate to shoot a moose (weapon or camera) with a trophy set of antlers, one thing is certain; the record head or picture mounted on your wall, is a bull with many years experience behind him.